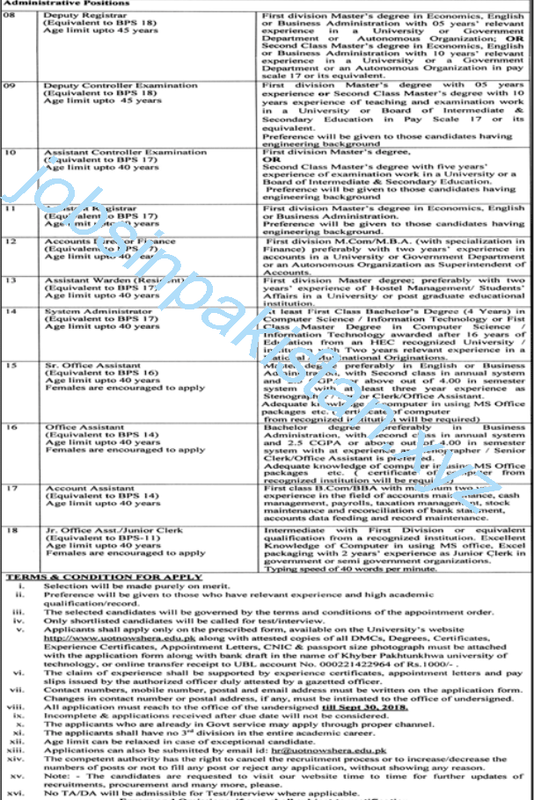 Advertisement No 04/2018 for University of Technology Nowshera Jobs 2018 is announced. The advertisement for University of Technology Nowshera Jobs 2018 is come on today newspaper Jung. University of Technology, Nowshera is the first ever and the best public sector university of Nowshera and Pakistan. Form are available in University of Technology Nowshera official website. 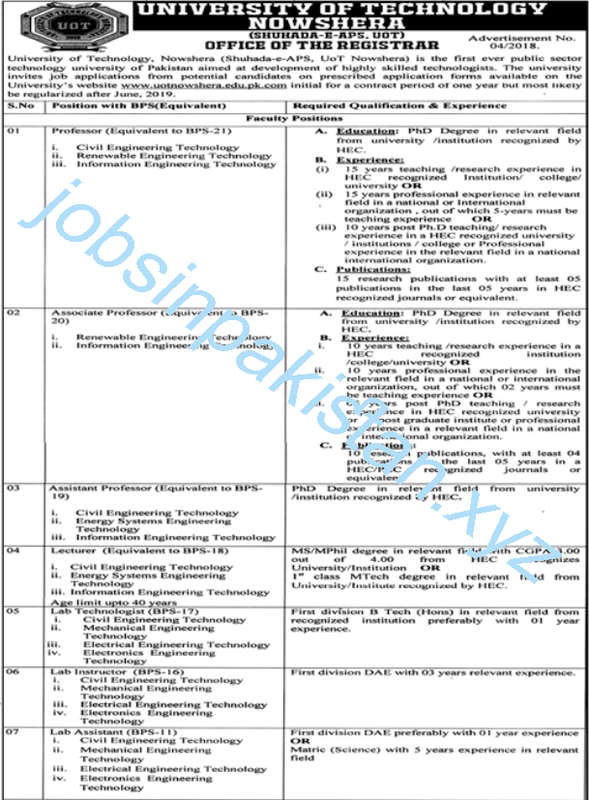 University of Technology Nowshera require a applications for following posts.